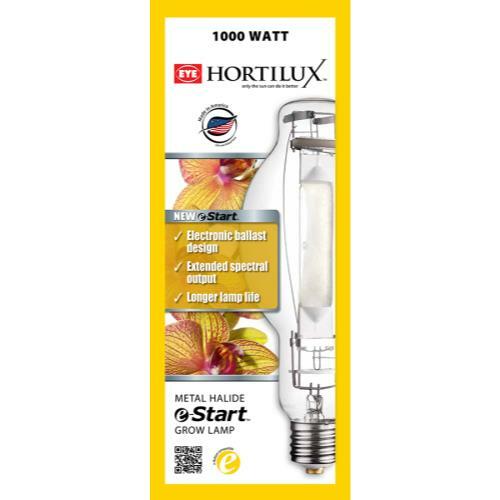 Hortilux® e-Start Metal Halide is a new family of lamps designed for use on electronic/digital ballasts. The starting and operating characteristics of electronic/digital ballasts are different than traditional magnetic core & coil ballasts. 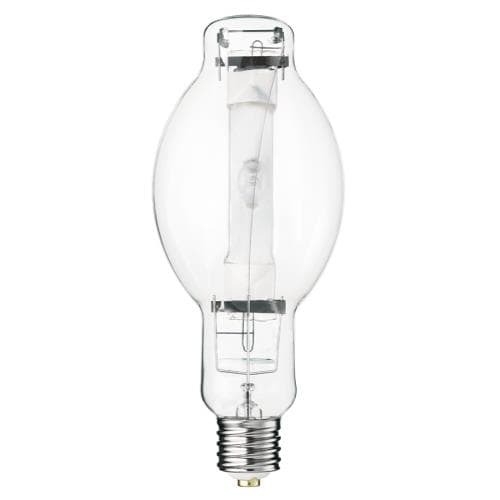 These differences allow us to optimize lamp performance over life to improve results in your indoor garden. Vegetative spectrum for beginning stages of plant growth. Extends Peak Spectral Output which means the quality of the spectrum is maintained over a longer lamp life. 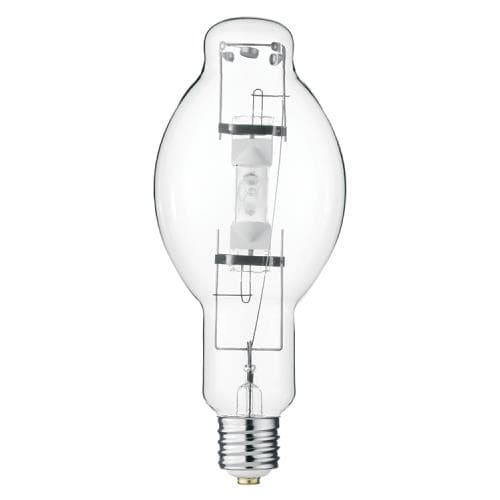 Extends time between lamp replacement which saves money. Designed for electronic/digital ballasts. Can also operate on pulse start magnet.